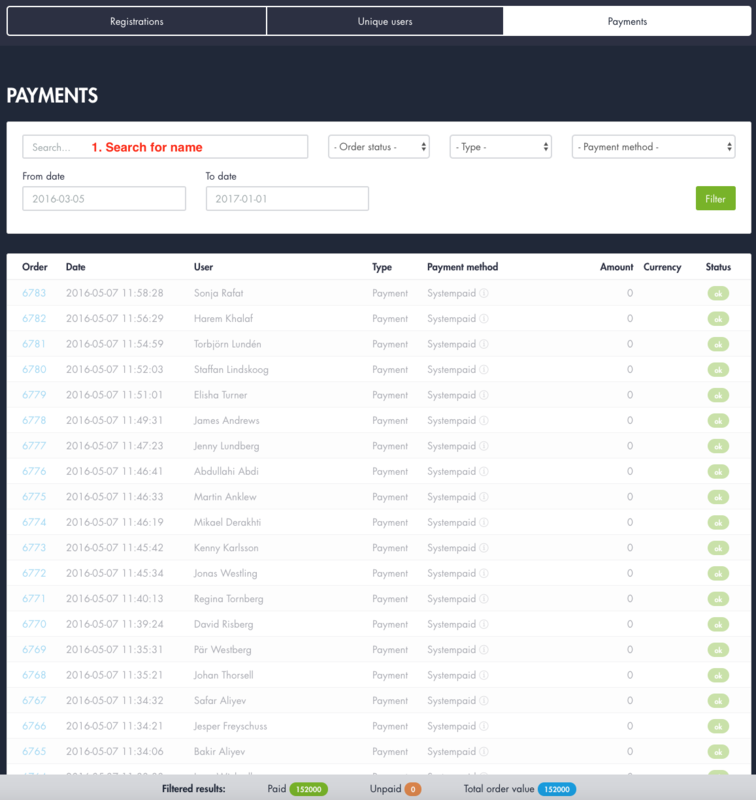 In the payments section you will find all the details of the payments made for your event. You can search for an individual name, order nr and transaction id. 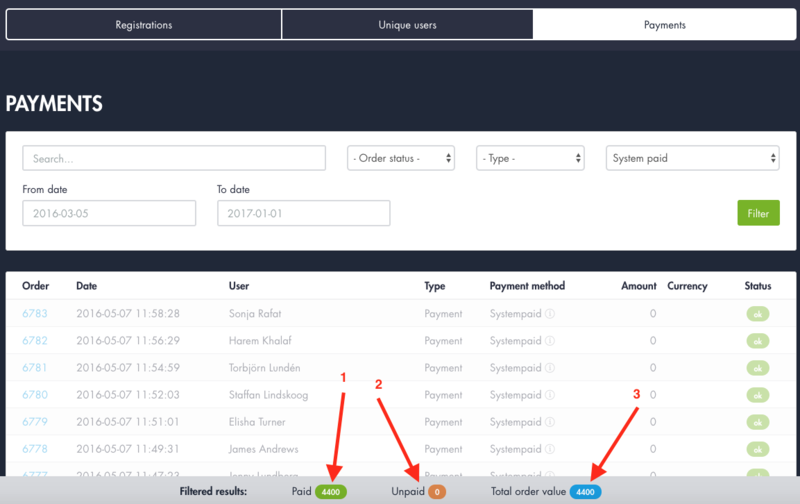 Order status search will display if the payment is ok or if you are waiting to be paid. Always showing at the bottom of the pageis the filtered results of your payments.